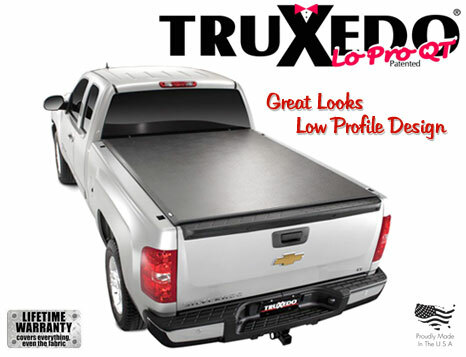 TruXedo, Inc. manufactures pickup truck bed tonneau and tonno covers, pickup truck accessories, and tonneau - tonno truck bed cover products. Since the introduction of the Original TruXedo® in 2000, TruXedo, Inc. has led the industry with new and innovative tonneau cover, pickup truck bed tonneau and tonno covers, pickup truck accessories, and tonneau - tonno truck bed concepts that emphasize style, quality, durability and functionality. The TruXedo product line continues to grow with the introduction of TruXedo Lo Pro, TruXedoPlus, TruXport, TruxSeal and Pro-Tex. In 2007, TruXedo was pleased to introduce the TruXedo Deuce and the TruXedo Lo Pro QT. 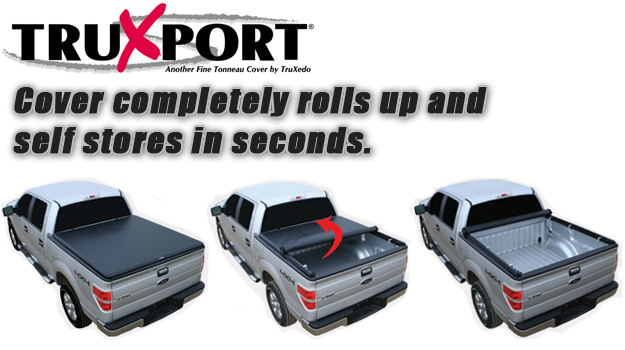 TruXedo, Inc. is committed to serving our tonneau truck cover customers, not only by offering the highest quality engineered tonneau covers, but with short lead times, world-class customer service and the best pickup tonneau cover warranties in the industry. TruXedo proudly supports our network of distributors and dealers who carry TruXedo pickup truck bed tonneau and tonno covers, pickup truck accessories, and tonneau - tonno truck bed covers. TruXedo's aftermarket truck accessory customers receive a Lifetime warranty on the tonneau truck cover, tonno bed cover, pickup bed cover that covers everything - Even the fabric when they purchase a TruXedo Lo Pro QT, TruXedo Deuce or TruXedo Original. 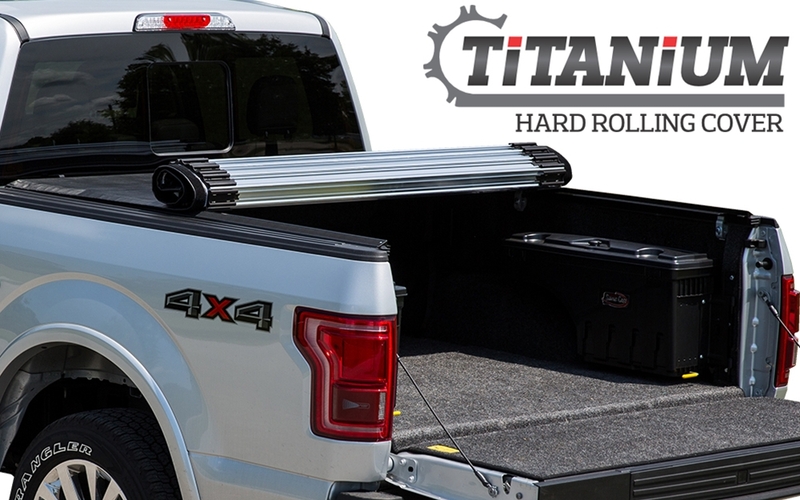 The TruXport carries a warranty of 5 years and the TruXedoPlus carries a lifetime warranty on the tonneau cover with a 1 year warranty on the toolbox. Order a Free TruXedo Tonneau - Tonno Pickup Truck Bed cover, tonneaus - tonnos, TruXedo Tonno Pro-Tex tonneau cover cleaner, Pro-Tex tonno cover cleaner pickup truck accessories and TruXedo tonneau bed cover catalog today. We welcome your comments, suggestions, and feedback regarding any of TruXedo pickup truck tonno bed cover products, including the: TruXedo Lo Pro QT tonno cover, TruXedo Lo Pro QT Harley Davidson® edition bed cover, TruXedo Deuce soft roll-up, hinged tonneau cover combination, TruXport snapless soft tonneau, TruXedoPlus truck bed cover and toolbox, TruXedo Original pickup bed cover, TruxSeal tailgate seal, Pro-Tex tonno cover cleaner and more. Most of our TruXedo Tonneau bed cover, Tonno pickup truck bed cover products, and pick-up truck Tonneau cover, Tonno bed covers are available in five colors. The five colors are a navy blue tonneau cover, buckskin tonno cover, forest green bed cover, charcoal grey pickup cover and a black truck bed cover. TruXedo roll-up Tonneau Cover and Tonneau Covers are products manufactured by TruXedo, Inc. Tonneau Cover.